Your support means student success! 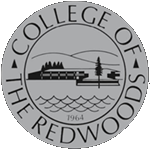 Formed in 1965, the College of the Redwoods Foundation is a non-profit organization dedicated to helping the Redwoods Community College District provide top quality educational opportunities to all of its students. Scholarships to ensure that students in need of financial help can thrive. Scholarships recognizing academic and technical training achievement. Internship programs where our students can develop valuable skills in their respective fields. Funds to expand our student support services, programs, and facilities. The Foundation promotes academic, professional, and personal achievement. Over 180,000 students have attended College of the Redwoods since our opening in 1964, and you can help our next students attain their goals and improve their lives. Meet Caw-Tep Sylvia, graduate from our Klamath-Trinity Education Center. We provide different ways in which your dollars can support College of the Redwoods. Please click on the area(s) that you are interested in supporting. College of the Redwoods hosts the annual “Dash of Color,” a community family fun event supporting the CR Foundation, as well as the football and track & field programs. This color run is a non-athletic, all ages event, where walkers/joggers/runners move through color stations where volunteers toss colored starch. It’s not toxic, environmentally friendly, and a great deal of fun for all! In April of 2016, over 500 participants enjoyed the event.